Have you, as a preceptor, ever overheard a resident say this in an unguarded moment? I’m sure all of us remember those moments from our own experience as a resident, oh those long years ago. The giving and receiving of feedback is often one of those moments that in a busy clinical setting can just flit over one’s head… and on we go to the next patient. And so many important clinical pearls can be lost along with a multitude of little learning opportunities. The move to Competency Based Assessment gives special emphasis to work place based assessments – taking a look at the activity of your Resident in the real live setting of an office, hospital ward, home visit or care facility. There is a new emphasis on formative assessment – all those little course corrections that are the opportunities for giving good quality feedback. And who has time to sit and watch their resident with a patient for 15 minutes and then spend more time reviewing what you have observed? Surely, you groan, there is a faster way to just jot down a brief moment of feedback that the resident can take away to ponder later… Even better — why not have the resident jot it down, and I will just tick a box or two and sign! Field Notes are just exactly this: simple, fast, useful! And how many examples could all of us come up with in a day? One Field Note per day… let’s say 200 plus clinic days per year?!! Good thing that the Residents are going to be keeping these little pearls, and organizing them by the Domains of Clinical Care for review by their Site Director every 4 months. They also may just share some with you, if they wish, to refresh your memory as you fill in that In Training Assessment (Web Eval) Report. 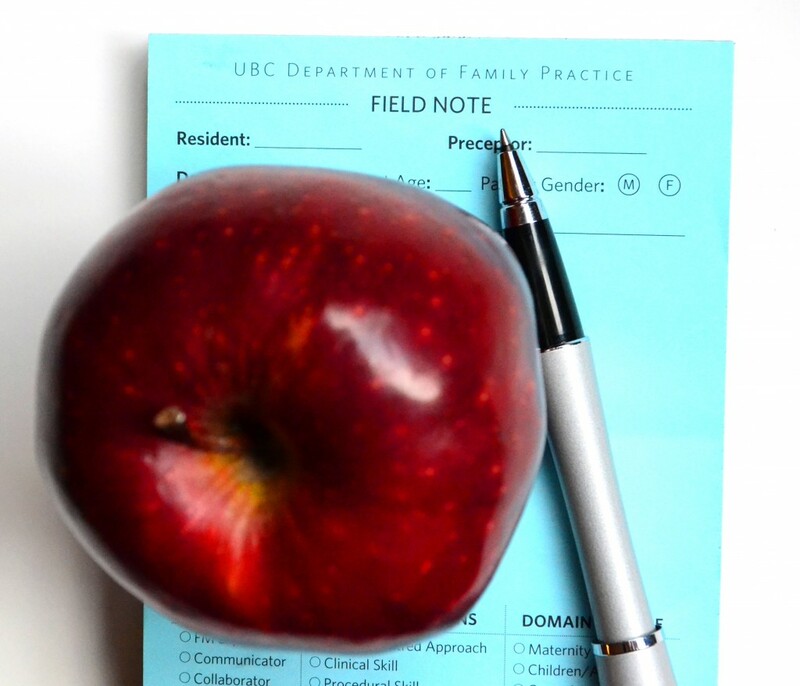 You may also initiate a Field Note on your resident for any activity, especially when you observe them with your patients! For more information see the new Field Note Guide and examples! Donoff, MG. Field notes: Assisting achievement and documenting competence. CFP [Teaching Moment]. Vol 55: December 2009, 1260-126. Dr. Theresa van der Goes is Lead Faculty for Assessment and Evaluation. She is also Site Faculty for “A & E” at the Nanaimo Site of the UBC Family Practice Residency Program. A resident asked me why “Manager” is an important CanMEDS-FM role. I advised the resident that this role was important to keep the other roles functioning at a high level. You cannot have best practices if you do not schedule your time, your interests, and your patients in an effective manner. The most frustrating things in medical practice are issues about personal and professional management of self and others. Your great skills as a family physician may be ineffective if you are not organized in a manner that maximizes your special interests and your time on the issues that you can assist. If you are doing things that others are better able to do, you will be frustrated and more likely to find fault with your career choice. If you are intimidated or uncomfortable with the patient/system needs and your skill, you will feel incompetent. Best practice managers will avoid these negative experiences and will provide a supportive working environment for you and for your colleagues. Your management of the application of your considerable knowledge and skills is as important as the knowledge and skills themselves. Patients need your management knowledge and skills to stickhandle through their issue within the medical system. Without this support your patients would have greater challenges to achieve the care they need. We all work in health care systems with finite resources. We need to contribute to the effective utilization of the available resources and balance that with your patients’ needs. These are challenging manager tasks. Physicians are increasingly part of health care teams. The modern physician must participate effectively in teams as leaders and followers. The skills to know when to change roles and how to function in each role allows the modern physician to be more influential and more effective. Physicians who lack these manager skills find shared care and teamwork frustrating. Physicians without meeting management skills can make a meeting painful for themselves and others. 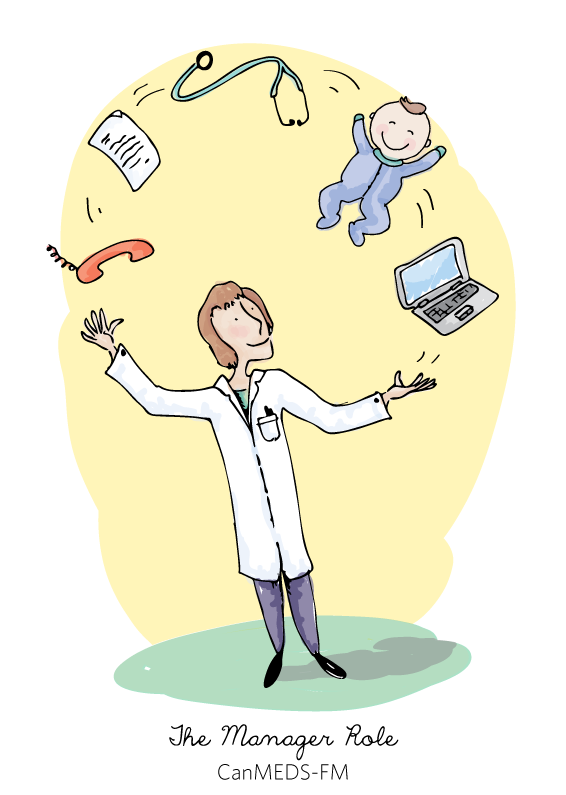 Work/life balance is a challenging aspect of a medical career. In your role as manager you can ensure that you remain in good balance with work and other life priorities. Without this manager role you are at risk for anxiety, depression, burn-out and the unfortunate negative life impacts. The manager role has a set of skills and knowledge that is important to your well-being. If you are less interested in this role, you should collaborate and seek advice from someone who has an interest and skills as a manager. Accepting advice from those with more knowledge skills and experience is one of those important manager skills. Try to learn as many manager skills as possible. Dr. Steve Beerman is the Site Director for the Nanaimo Site of the UBC Family Practice Residency Program and the Chair of the Resident Resilience Subcommittee. Why say ‘centred in family medicine’ — isn’t it obvious? I was eager to read the most recent CFP Triple C instalment, The Last C – Centred in Family Medicine, because ever since the introduction of Triple C I have questioned why ‘centred in family medicine’ needed to be one of the Cs. I mean isn’t it obvious, we are talking about the postgraduate curriculum for Family Practice, shouldn’t it be a given that it is centred in family medicine? As I read the article I realised that I had fallen victim to one of the oldest challenges faced by teachers. I had become an ‘unconsciously competent’ family physician, at that place in the Learning Cycle where we think things are obvious – “it’s just the way it’s done” – but our learners aren’t there yet. Fortunately for me, not only did the article induce this revelation, but it also nicely articulated some of the ways we as teachers can role model explicitly how we are ‘centred in family medicine’. 1. Teachers who are family physicians: these teachers may consult specialists for assistance with teaching and care, but the primary preceptors are family physicians. 2. The teaching context is the comprehensive family practice setting: considering the various models of family practice currently in BC this setting could be a an individual family physician who provides full scope family practice or a group of special interest family physicians who together provide full scope family practice or any variations thereof. 3. The processes of teaching, learning and most importantly care are all oriented to family practice: the medical content our learners need to know may be similar to that of our specialist colleagues, but the teaching and application thereof is unique to family practice. In the typical teaching fashion, I responded with a question. “Well I think it depends on the patient”. This provided me the opportunity to explicitly focus on the complexity of the family practice context, the unique nature of the family physician-patient relationship (that is both comprehensive and continuous) and how these influence care processes like the application of guidelines. 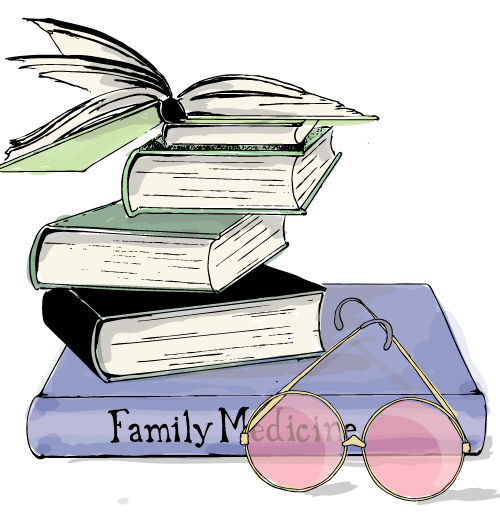 So, to achieve the third C — centred in Family Medicine — we, the family practice preceptors, must first recognise that we see the world through this unique lens, and then we must help our students to don these ‘rose coloured glasses’ of Family Practice. Christie Newton MD CCFP FCFP is a practicing family physician and an Assistant Professor at UBC. She is the Director of Continuing Professional Development and Community Partnerships in the UBC Department of Family Practice as well as Director of Interprofessional Professional Development, UBC College of Health Disciplines. Continuity… What does this mean for Family Medicine Preceptors? What does continuity mean for Family Medicine preceptors? Program Director Dr. Willa Henry explains it here. We have a new curriculum! The CFPC (“the College”) has introduced the Triple C Competency-based Curriculum. The Triple C is framed within the CanMEDS-Family Medicine (FM) Roles. These are the seven roles that define the competencies which patients have identified as important for successful clinical practice. 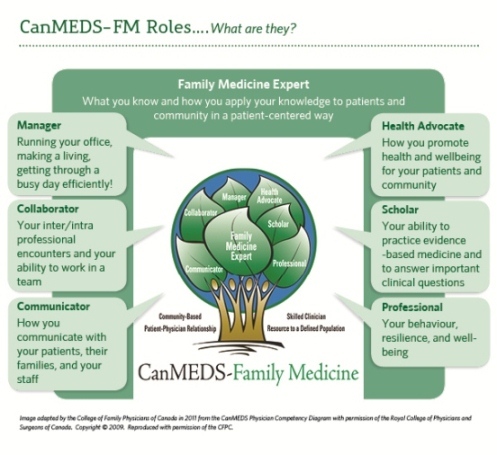 CanMEDS-Family Medicine (CanMEDS-FM) is a competency framework for family medicine education. It is adapted from the Can-MEDS framework developed by the Royal College. Its purpose is to guide curriculum and form the basis for the design and accreditation of family medicine residency programs. Its ultimate goal is to improve patient care and to ensure that postgraduate training programs in family medicine are responsive to societal needs. Our curriculum objectives and assessment forms will be transitioning to this framework over the next two years. As a preceptor, it is important for you to be aware of this new initiative. Future faculty development communications will focus on teaching and assessing each of the CanMEDS roles. Take a look at your agenda for a recent busy day. Can you identify these roles in your day to day life? If you can, you can start to teach and assess these roles in your learners! What can you do to guide your resident under the new curriculum? Focus on specific competencies. Ask your resident which competencies he or she is working to develop on a day to day basis. Provide opportunities for your resident to practice skills associated with each competency, then observe and record progress. The use of field notes will help expedite this process! Ask your residents what other rotations or clinics they have been attending and invite them to “teach” you some of their newly learned clinical pearls… Then help them apply these new skills within your practice. Periodically review the variety of cases your resident is managing. Try to provide more opportunities within areas of competence where a resident has specific learning objectives or obvious weaknesses. On the Triple C . CFPC. Advancing Canada’s family medicine curriculum: Triple C. Canadian Family Physician 2011; 57. Renewing postgraduate family medicine education: the rationale for Triple C. Canadian Family Physician 2011; 57(8): 963-964. Comprehensive care and education. Canadian Family Physician 2011; 57(12):1457-1476. Redesigning Family Medicine Residency in Canada: The Triple C Curriculum. Family Medicine 2012;44(2):90-7. CanMEDS-Family Medicine Roles, in CanMEDS-Family Medicine Working Group on Curriculum Review. CFPC. October 2009: 5-22. We’d love to hear from you! Please fill out our 1-minute survey by March 23, 2012 for a chance to have your name drawn for a $25 Chapters gift card.